"All Saints provides its students with a first-class education that prepares them extremely well for their future life in Modern Britain." The Governing Body of All Saints is committed to providing an educational experience of the highest possible quality for the Academy’s students. Governors undertake regular evaluation of the quality, standards and Christian distinctiveness of education in the Academy. The Academy is inspected by the government's inspection service Ofsted on a regular basis in accordance with national guidelines. 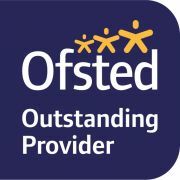 Under the latest guidance an Academy rated as providing a good quality of education can expect to receive an Ofsted inspection approximately each five years. This time can vary depending on the continued level of success the Academy is judged to be having. Ofsted inspected All Saints in February 2015 for a period of two days. "Everyone who walks through the door of All Saints will leave transformed through an encounter with the Christian gospel." The full report for the inspection can be viewed by following the link to the Ofsted Website. The Church of England inspects the Academy every five years to determine the extent to which it is distinctive and effective as a Church Academy. Our last inspection was in March 2019 when we received the highest grading of excellent, including excellent for Collective Worship and the effectiveness of Religious Education. The report can be downloaded here. The Department for Education (DfE) has released the school comparison tool, (previously know as Performance Tables). This tool allows parents/carers to find information which allows them to assess levels of attainment and progress of students in All Saints and to compare that with other schools and with national averages. Parent View is a website designed by Ofsted which gives parents the chance to share their views about All Saints and to compare our Academy with others.